Practice number sense with this colorful numbers game for your preschooler. 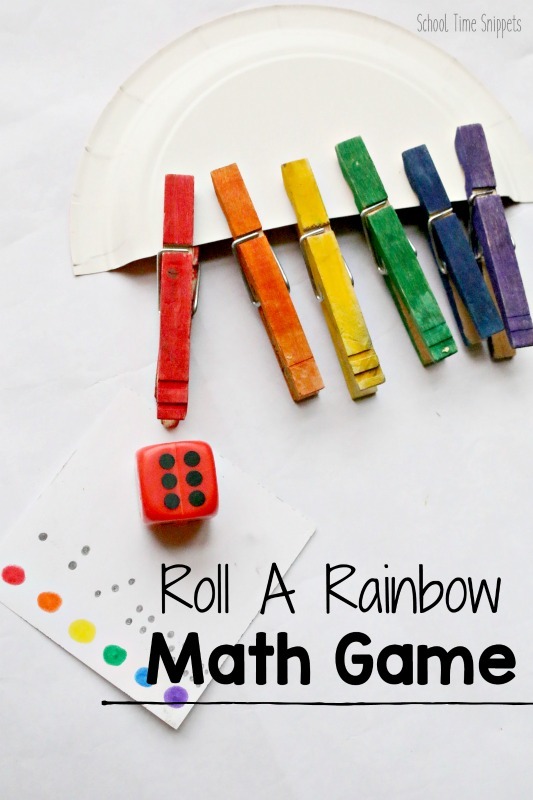 Roll A Rainbow Numbers Game is a fun and simple game with lots of educational benefits: work on number recognition, colors, fine motor and counting skills. Prep this fun game to play during your rainbow preschool theme learning activities! Roll A Rainbow is a fun twist to our Clothespin Color Fine Motor Skills Game -- we even used the same clothespins for this activity. We switched it up a bit and added some math skills, such as counting and number recognition. It's a simple math game to add to your spring activities! 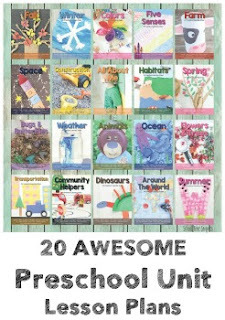 Although, rainbows are a fun theme to explore all year round! We played this game to go along with the Virtual Book Club's Rainbow week! Along with playing this game, read the book: A Rainbow of My Own . If you don't have the colored clothespins from our Color Clothespins Game, color 6 clothespins a different color of the rainbow: red, orange, yellow, green, blue, and purple. Cut a paper plate in half and this will be the rainbow "cloud." On a little piece of paper write out a code to use with the die. You can use a numerical die or a numbered die, whichever you prefer. To add in some counting practice, we used a numerical die. To play Roll A Rainbow, have your child roll the die and count the dots. 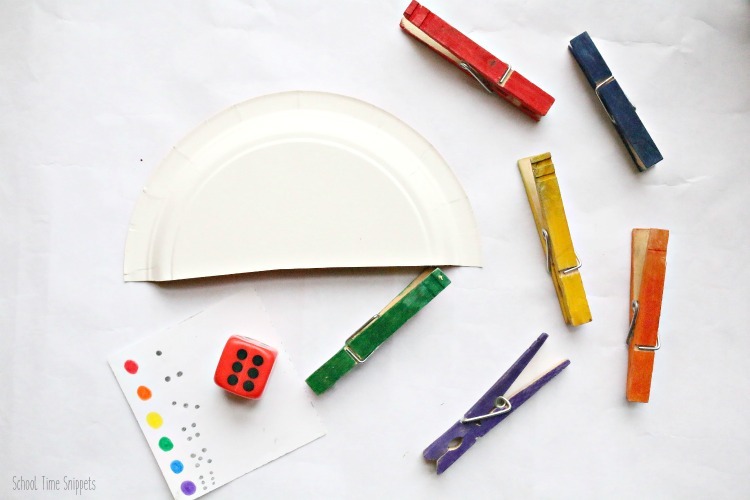 Find the corresponding color clothespin and pin it to the paper plate "cloud." I'll be honest and say I completely forgot to add the order of the colors to the paper plate cloud, so that my preschooler had an idea of where to clip the clothespin. In that case, my preschooler just clipped them as he rolled the color. Ah well!! This game can easily be played with more than one player. Just double up on all the supplies and make it a race to see who can complete their rainbow first! It's a fun way to work reinforce color recognition, matching, and discrimination skills! Working with clothespins is one of my favorite ways to work on fine motor skills! It's fun and easy to set up! 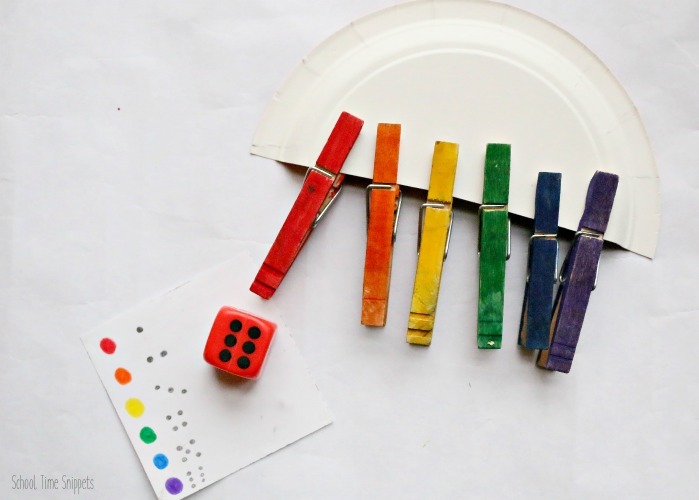 Enjoy this fun and simple Roll A Rainbow Numbers game during your rainbow preschool theme learning activities!